Now that the 2019 Formula 1® calendar is underway, Yas Marina Circuit today announced that all ticket options for local and international fans are on sale for what will be its biggest race weekend ever. 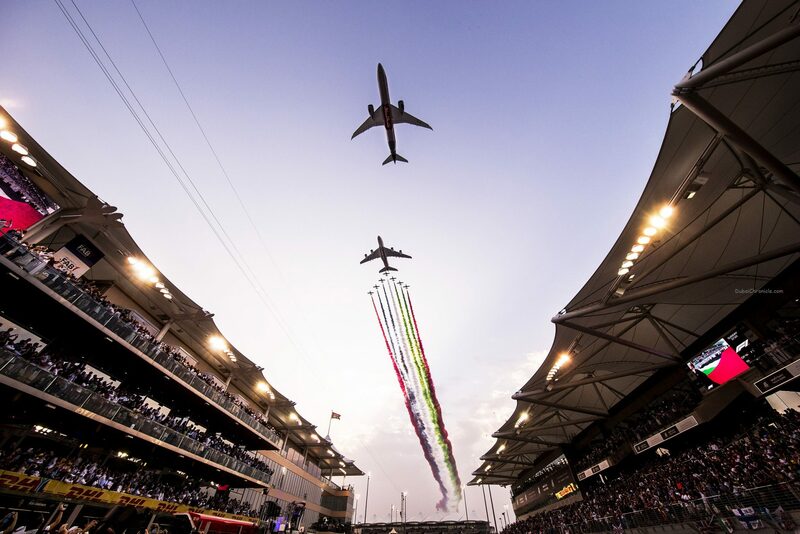 Following last year’s tenth anniversary edition, the FORMULA 1 ETIHAD AIRWAYS ABU DHABI GRAND PRIX 2019 will run from Thursday 28 November to Monday 2 December – offering five full days of on-track and off-track entertainment across Yas Island. As an established fan favourite, the F1® season finale will again be held at Yas Marina Circuit, and the Abu Dhabi Grand Prix enters its second decade with the longest and best added value race weekend yet, supported by F2®. The five-day race festival with a huge line-up of on and off-track entertainment starts with Super Thursday and the ever-popular Public Pitlane Walk, with the action continuing across the entire weekend to Monday. The 48th UAE National Day on 2 December will be marked by a whole day of fun activations on Abu Dhabi Hill to keep the festival mood going after the excitement of Sunday’s race day. To continue the drive for innovation and to enhance the customer experience, #AbuDhabiGP 2019 will see the introduction of all-new ticket packages available to the range of local, regional and international race goers, providing something for everyone and choices to suit all budgets. For the first time ever, organisers will this year offer Family Pass Packages for North Grandstand. Ideal for families, the Grandstand is close to Yas KartZone, three Yas Island theme parks, Yas Mall and du Arena. For every two adult tickets purchased, the package offers a 50 per cent discount on tickets for three children 12 years’ old and under across the full five days. To avail the offer, purchase your tickets online and register for the promotion. Adding more choice and value on ‘Family Friday’, organisers have confirmed that 2019 will see ‘Kids Go Free’ return for Grandstand ticket holders, with up to four children 12 years’ old and under getting free Friday entry to that Grandstand, as well as enjoying free access to the three Yas Island parks. Plus, new in 2019, Yas Marina Circuit will offer race goers the choice of premium Grandstand seating or Hospitality packages in the Main, North and West Grandstands, providing ultimate motor sport fans with the ultimate perspective of the racing action. Whether it’s uninterrupted views of the Start/Finish line and Turn 1 from Main Grandstand, the longest straight in F1® from West Grandstand or a front-row seat overlooking the famously challenging hairpin at North Grandstand, motor sport lovers will enjoy a thrilling experience. To reward its most loyal racing fans, organisers have announced a special 48-hour promotion. Those purchasing an #AbuDhabiGP Grandstand ticket online between 12pm today [Monday] and 12pm Wednesday 27th March, will get a complimentary ticket to the FIA WORLD RALLYCROSS OF ABU DHABI. Visit the Yas Marina Circuit website to buy your Abu Dhabi Grand Prix ticket and select the WRX option during the promotion period. Marina Grandstand, popular with overseas fans, will become a sea of bright orange as the Circuit expects more than 2,000 of Max Verstappen’s Dutch supporters to add some spectacular colour to the weekend – testament to the global appeal of this popular sporting and entertainment event in the eyes of the wider international community. To help guests celebrate in even more style in 2019, the Circuit has introduced new bundled Marsa Suites and Terrace Hospitality packages that also includes a 1-day Paddock Club™ pass, providing race goers with the ultimate F1® experience and includes exclusive Paddock access, premium food and beverage options, plus the popular Thursday and Friday night After-Race Concerts. In a bid to further foster UAE national unity and to bring the community together, a brand-new hospitality package for Abu Dhabi Government employees has been created. Situated in Yas Suites North and Called Suite 48, it offers local spectators the chance to watch all the track action from the comfort of a private, air-conditioned suite with unlimited food and beverages. Purchase now and avail a 20 per cent discount on the regular price. For more information on the complete range of #AbuDhabiGP Hospitality options available, please visit the Yas Marina Circuit website. The Abu Dhabi Grand Prix has always been a Yas Island event and this year is no different. 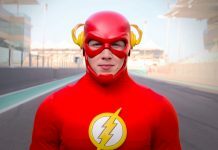 The ‘Super Parks Pass’ package has been extended from Wednesday to Sunday, allowing unlimited access to all three Yas Island Parks – Ferrari World Abu Dhabi, Yas Waterworld and Warner Bros. World™ Abu Dhabi. This special five-day ticket package starts from AED1,344 (for Abu Dhabi Hill). More keen-eyed fans will notice that this year’s official ADGP title now also features Yas Island. Last Sunday’s thrilling F1® curtain raiser in Melbourne saw Valtteri Bottas lead his second-placed team mate Lewis Hamilton for the majority of the race to win, with young Max Verstappen following close behind. This year sees the fastest ever cars in the history of F1®, promising a truly spectacular season, culminating in Abu Dhabi. With tickets now on sale, to reward loyal fans and those who purchase early, organisers are offering up to 30 per cent discount for those booking before 31st May, ensuring the best value for those fans that plan ahead. Corporate clients will also be rewarded with discounts of up to 20 per cent for early booking of the Circuit’s revamped hospitality solutions available during race weekend. For information on the range of packages available, please visit the Yas Marina Circuit website. Al Tareq Al Ameri, CEO of Yas Marina Circuit, said: “We have seen international visitation increasing every year, and we take pride that Abu Dhabi is one of the most internationally visited Grands Prix, thanks to our efforts to entertain and excite consumers with a strong destination story as well as our ‘modern definition of F1®’ positioning. “As we enter our second decade of success, we have innovated once again, providing our fans with a fantastic five-day experience and lots of added value to our local, regional and international guests. 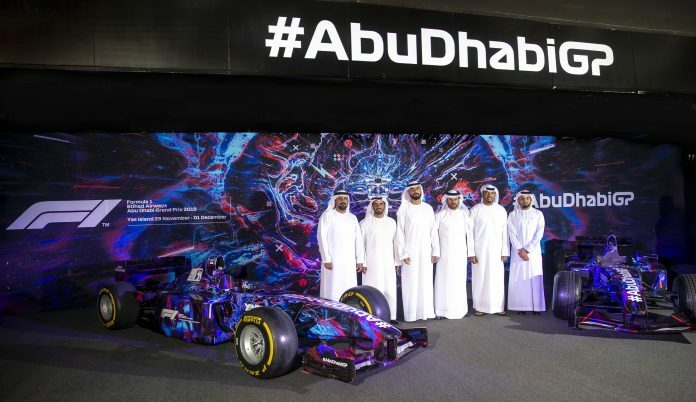 Yasser Al Yousuf, Vice President Commercial Partnerships at Etihad Airways, said: “We are delighted to be continuing our headline sponsorship as the Formula 1 Etihad Airways Abu Dhabi Grand Prix marks its 11th edition. Yasalam, the music and entertainment festival, will be back for the 11th consecutive year. Produced by FLASH Entertainment, the festival will return to give ticket holders four full nights of outstanding performances by globally renowned musical artists throughout the weekend, with details of the world-class artists to follow. Tickets are available online at www.yasmarinacircuit.com and through the Yas Marina Circuit Call Centre (800 927) or +971 (0) 2 659 9800, as well as through all Etihad Hala, Yas Island’s Experience HUB and Virgin Megastores, Yas Central Express stand at Yas Mall. Yas Marina Circuit will publish the updated version of its YasHUB smartphone app today. The 2019 edition will soon be available to download, allowing visitors to plan every element of their race weekend and stay up-to-date with the latest race news and information. To catch up on all of the Yas Marina Circuit action, please visit YasTV – the official online TV channel and home of video content for Yas Marina Circuit, the UAE’s most exciting sporting and entertainment venue and host of the #AbuDhabiGP. Britney Spears to sign for opening of Abu Dhabi Formula 1 Grand Prix?